Katra is a small hilly town in Reasi district of the Indian state Jammu & Kashmir. It is situated in the foothills of Trikuta Mountains and is extremely famous for being the base-point to holy Vaishno Devi pilgrimage. Because of its association with popular Hindu temple Vaishno Devi, it is widely known as Katra Vaishno Devi among Indian as well as foreign tourists. 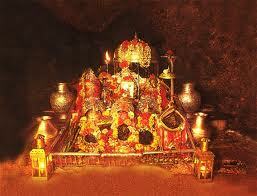 Being an abode to holy shrine, it is visited by people all around the year with swelling crowd during summer. 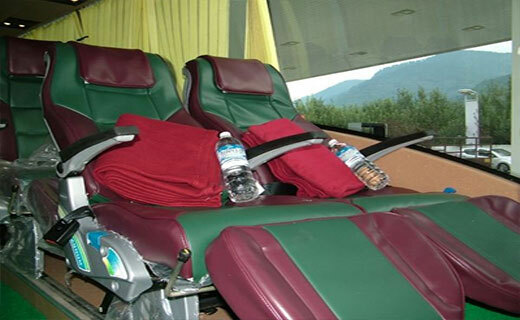 Katra is located approximately 649 Km from Delhi with approximate travel time of 10 hours 40 minutes by road. This is quite a long journey by road that can surely break the hardest of bones in our body. However, we look at it the other way round. 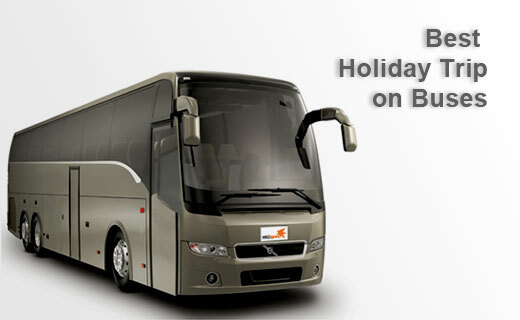 It is an opportunity for us to offer you an enjoyable road trip through regular Delhi to Katra Volvo bus services. 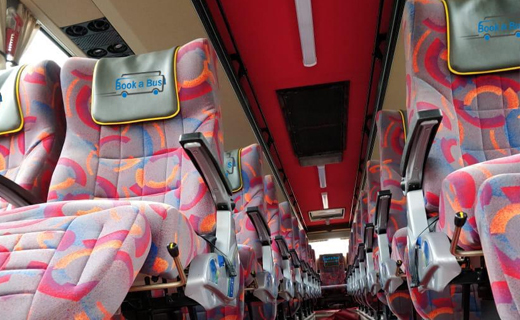 We take pride in saying that we have high class fleet of Volvo buses at your disposal. 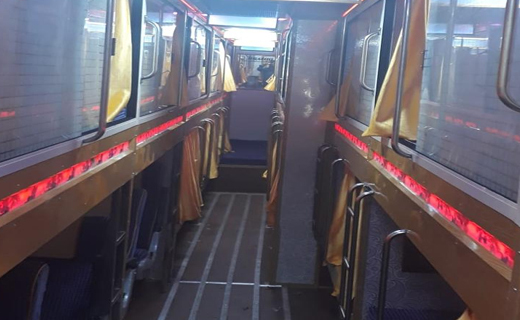 All our buses are custom designed to give you a comfortable and pleasurable journey that you will remember forever. 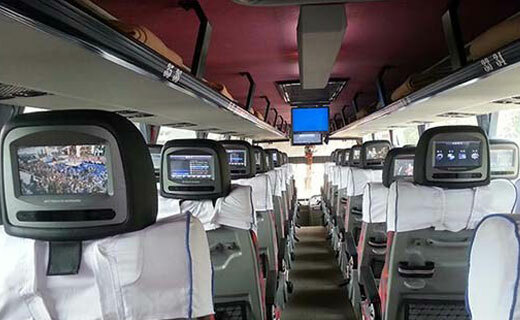 Our esteemed passengers can make Delhi to Katra Volvo bus booking through our website or by making a call on the given telephone numbers. 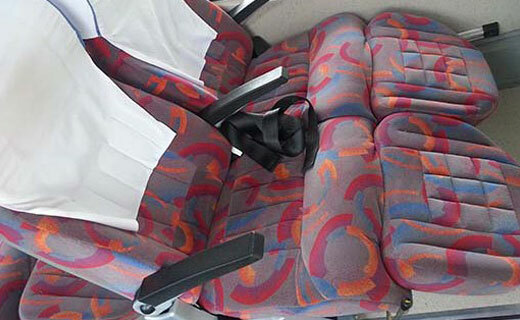 They can also book a return Katra to Delhi Volvo service in advance at the time of outbound booking. 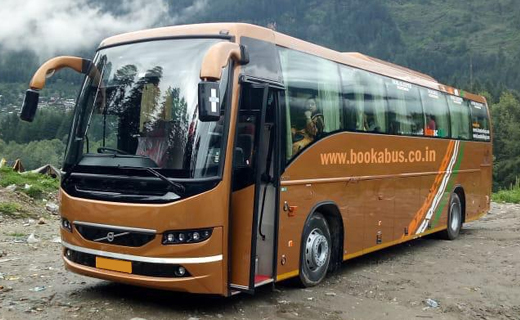 Our Delhi to Katra Volvo service leaves around 5:30 PM from R.K. Ashram metro station and Katra to Delhi bus departs around 5 PM from the private bus stand in Katra.